Titan Trade was established with the primary goal of making online financial trading accessible to everyone. We are constantly searching for ways to expand our trading facilities for the benefit of our clients. 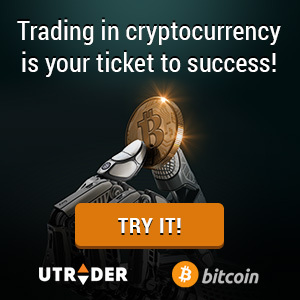 After all, it’s in line with our goal to help every trader achieve their financial goals through our platform. To this end, we have come up with some revamps and innovations that we believe will excite and benefit all Titan Trade traders. Titan Trade press release features the latest improvements and innovations that have recently taken place in our platform in the hope to provide you with better Titan Trade trading experience. We continue to incorporate user feedbacks and suggestions in our platform developments, ranging from the request for expansion of asset index to mobile trading application. Binary options traders will enjoy the diverse and expansive selection of underlying securities offered by Titan Trade. Over 150 securities are now open for trading, which include stocks, currencies, indices, and commodities. Whichever level of experience you have with binary options trading, wide-ranging collection of securities will provide traders with more opportunities to profit. Titan Trade extended their asset index because the latter believes that all these asset categories provide traders with significant financial opportunities. All available securities are arranged according to their expiry, which makes it possible for traders to navigate around easily. Furthermore, traders can also select their preferred expiry time for each of their trade. With so many options to choose from, traders can truly enjoy the flexibility of binary options trading with Titan Trade. Stay tuned to our Titan Trade press release for our up-to-the-minute announcements and recent platform developments. Also, you can have the latest stories and press releases delivered to you each trading day by subscribing to our newsletter. Simply sign up today and you’ll be kept up-to-date on the latest market information.